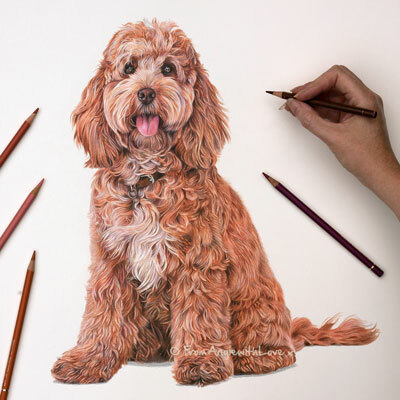 Crossbreeds are all about obtaining the best characteristics of both breeds, so it’s no surprise that the Cockapoo is becoming one of our favourite pets – they combine the intelligence, energy, and fun of the Cocker Spaniel with the low moulting coat of the Poodle. 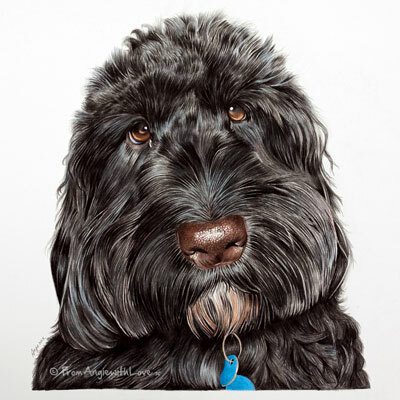 For the pencil portrait artist, they provide deep curly fur, and a happy, friendly face to work with. 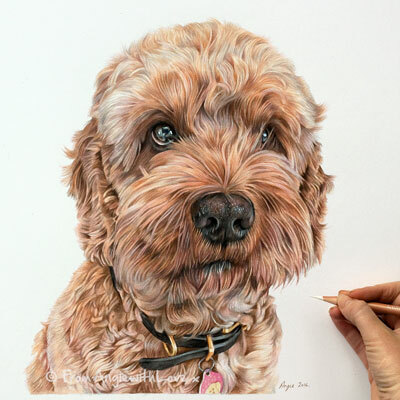 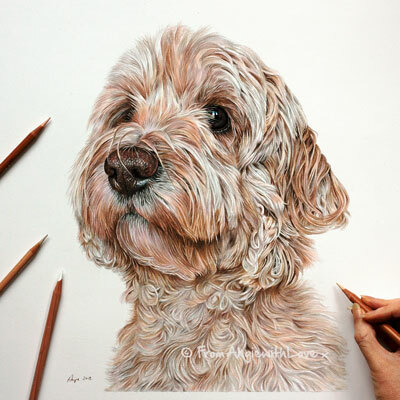 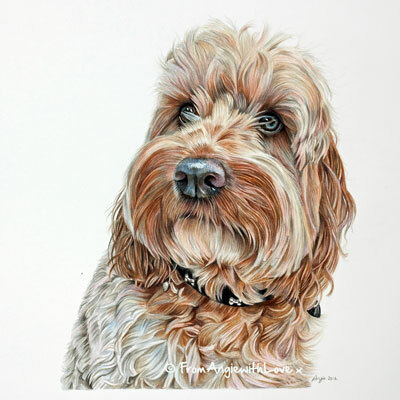 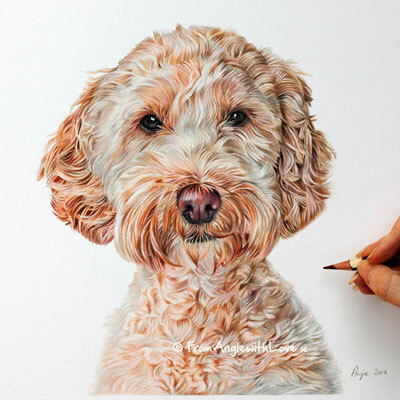 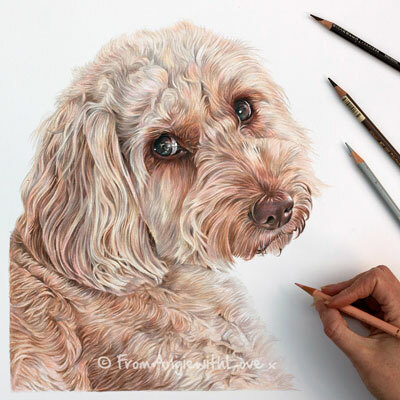 Find out how to commission your own Cockapoo pencil portrait here.